HEET® – THE ONLY WAY TO PROTECT AGAINST TEMPERATURE EXTREMES AND CORROSION. The health of your cars and outdoor equipment during winter depends on the quality and concentration of your anti-freeze. 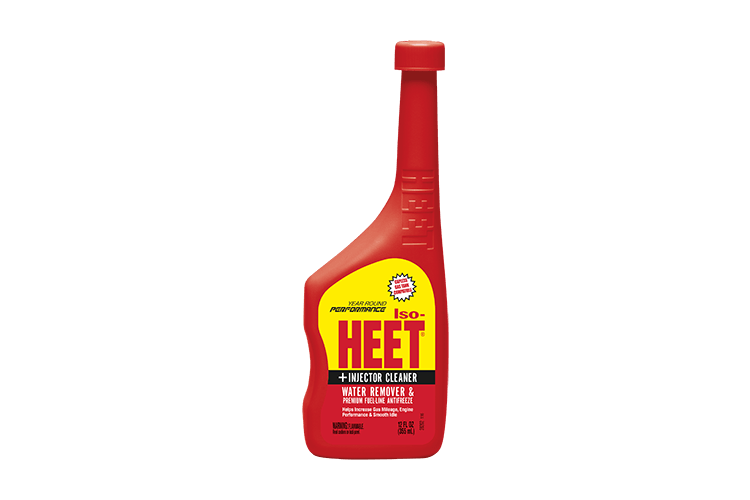 With HEET® products pumping through your engine’s veins, you’ll always be safeguarded against freeze-ups in winter. Protect your vehicle during the cold weather with HEET. free shipping on all orders of heet! 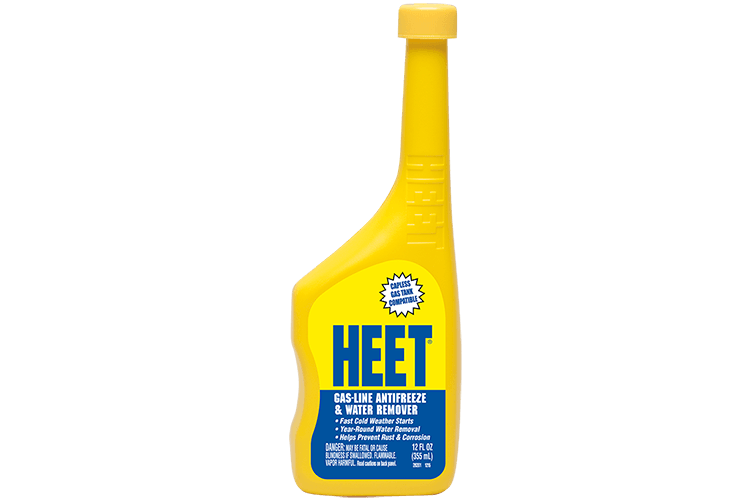 HEET Gas-Line Antifreeze and Water Remover prevents gas line freeze up and removes water from the fuel system year round. It is safe for all four cycle engines including fuel injected engines. This product helps prevent rust and corrosion by getting the water out of fuel. It can be used with every fill up in below freezing temperatures or whenever you want to absorb water from gasoline. Iso-HEET Water Remover & Premium Fuel Line Antifreeze + Injector Cleaner is the premium gas-line antifreeze that absorbs up to 5 times the water of regular gas dryers. It is designed for year round use in all 2 and 4 cycle gas and diesel engines. ISO-HEET prevents rust and corrosion by getting the water out. This anti-freeze can be used with every fill up in below freezing temperatures or whenever you want to absorb water from gas or diesel fuel. 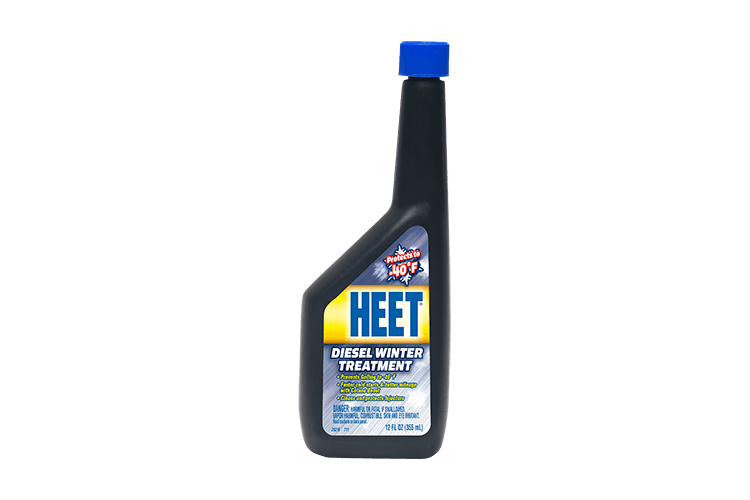 HEET Diesel Winter Treatment lubricates and protects delicate fuel system components while cleaning and protecting your fuel injectors. Gives a Cetane boost for a faster start and better mileage while reducing Cold Filter Plug Point (CFPP) by up to 36 degrees Fahrenheit. One 12 ounce bottle treats up to 35 gallons of fuel and prevents gelling to minus 40 degrees Fahrenheit.